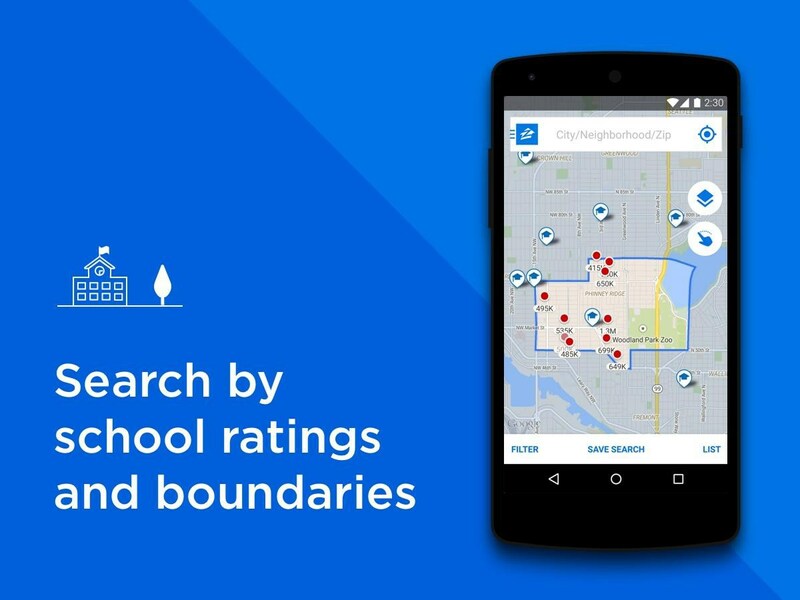 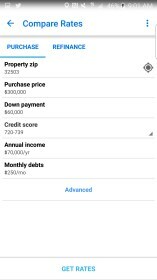 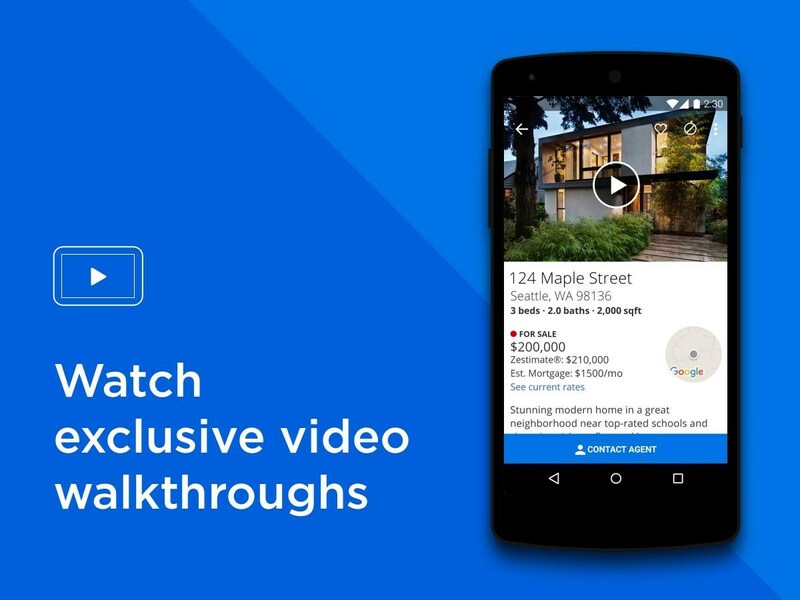 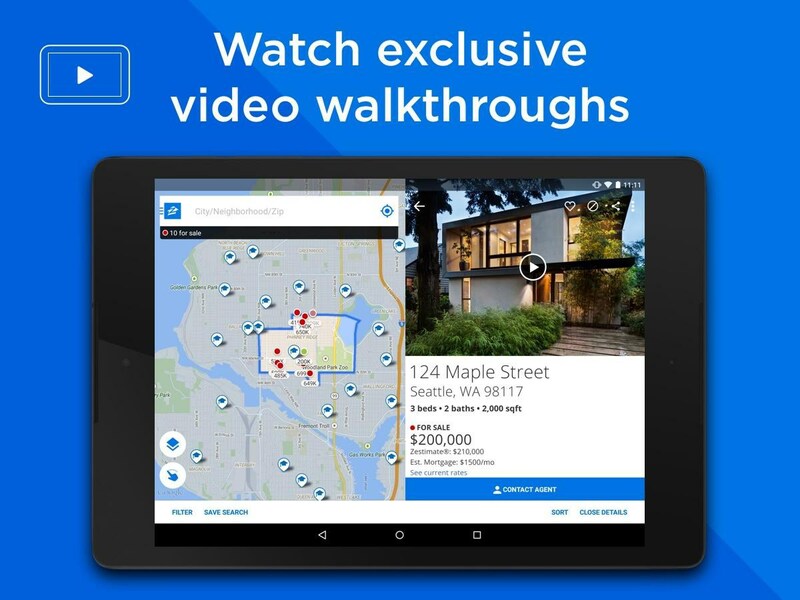 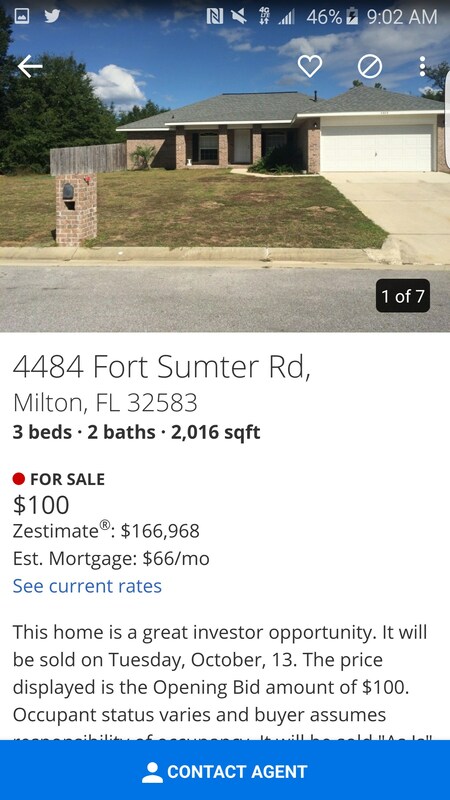 Real Estate & Rentals - Zillow – Soft for Android 2018 – Free download. 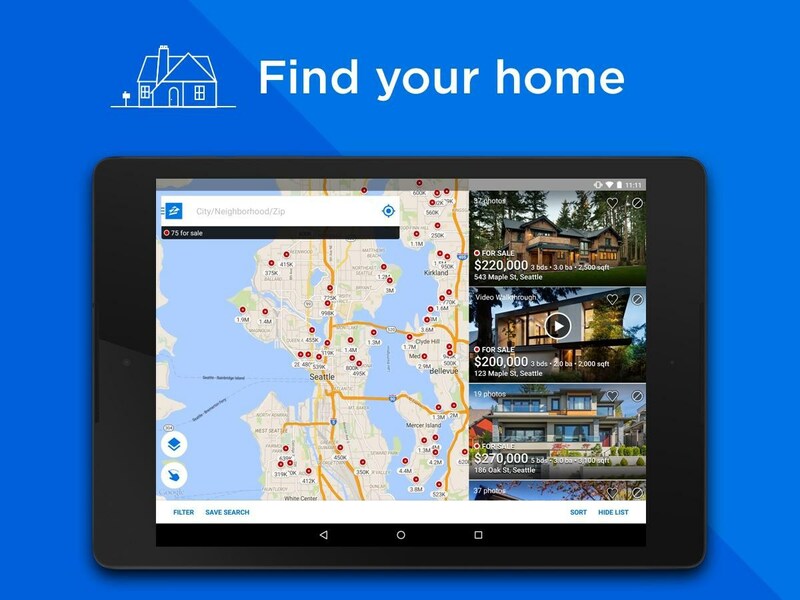 Real Estate & Rentals - Zillow – The definitive real estate app. 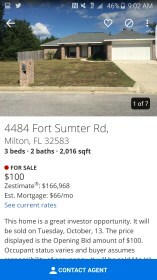 If you haven’t heard of Zillow then chances are you would have regardless of reading this review. 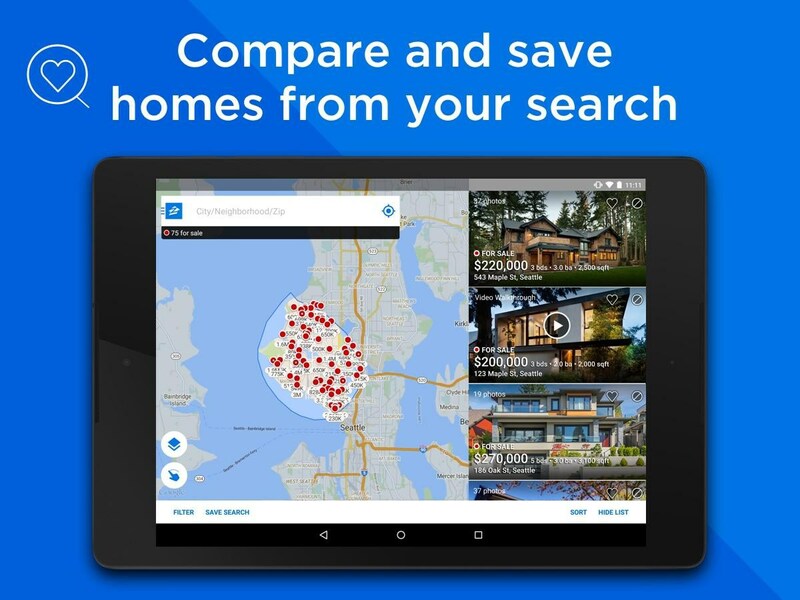 It’s a gigantic real estate database website that pretty much owns the market, though there are a few other notable alternatives, this one is basically the gold standard. 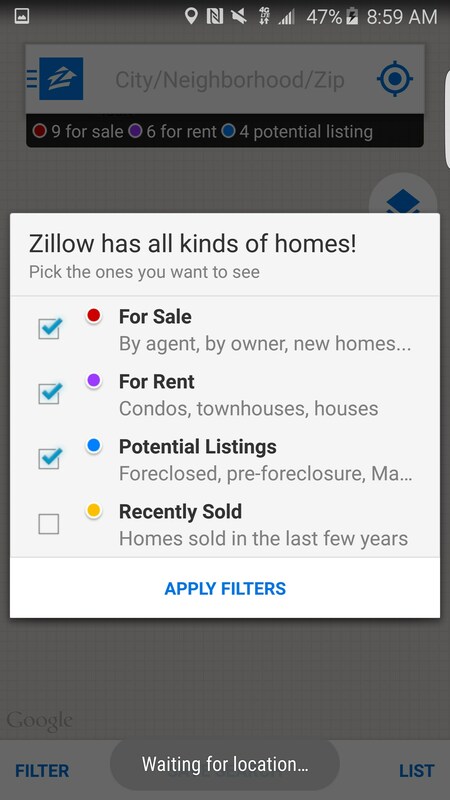 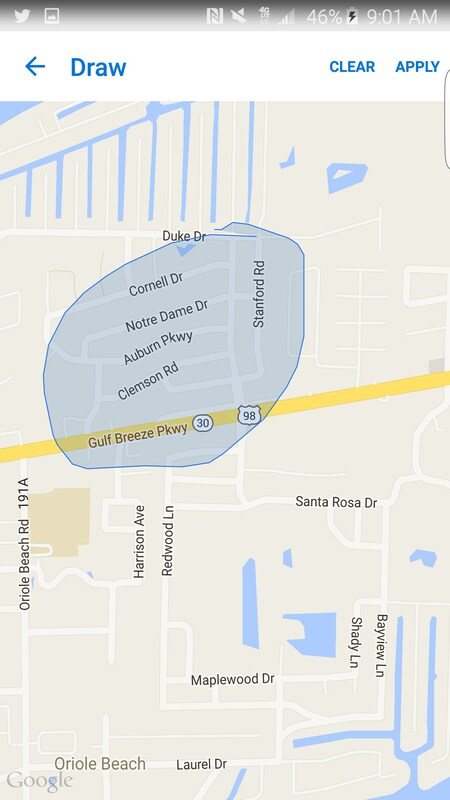 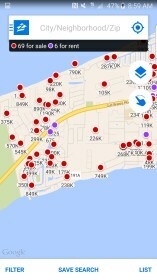 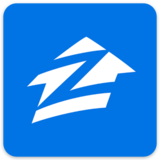 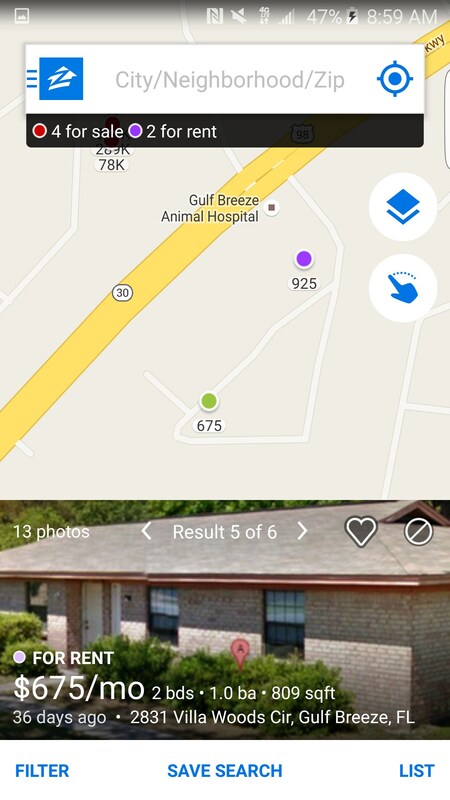 Zillow Real Estate & Rentals for Android is a completely competent way to utilize everything Zillow has to offer. 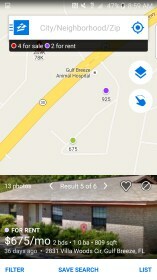 If you have location services turned on then when you open up the app you’ll be presented with a map where your location is the center focal point. Of course, you can then take your finger and swipe across the screen in order to navigate the map. 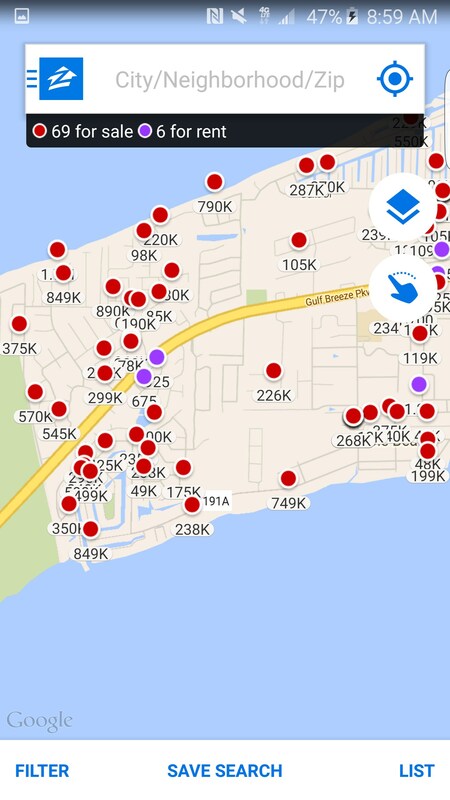 You’ll be able to filter what exactly you’re looking for too because it’s likely that your map will populate incredibly fast. 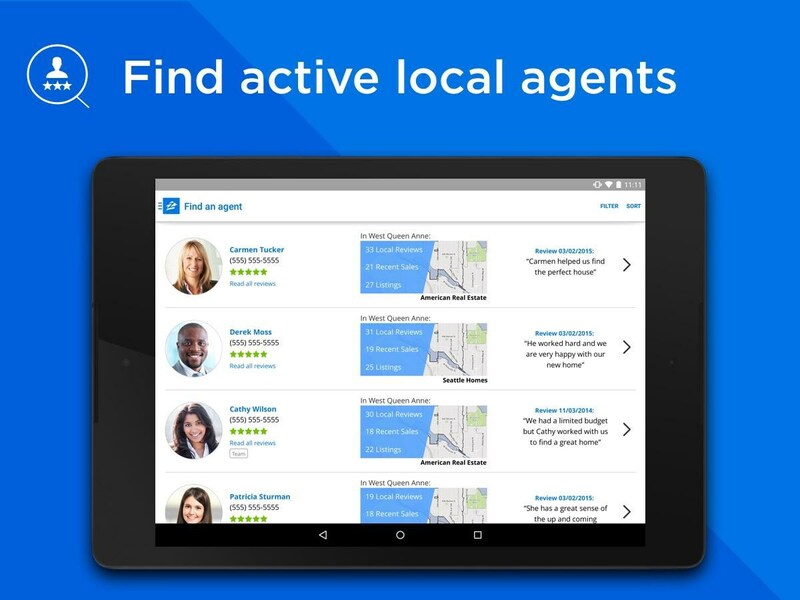 Performance is good, but when the app has to populate every house for rent or sale then things can turn a bit sluggish. 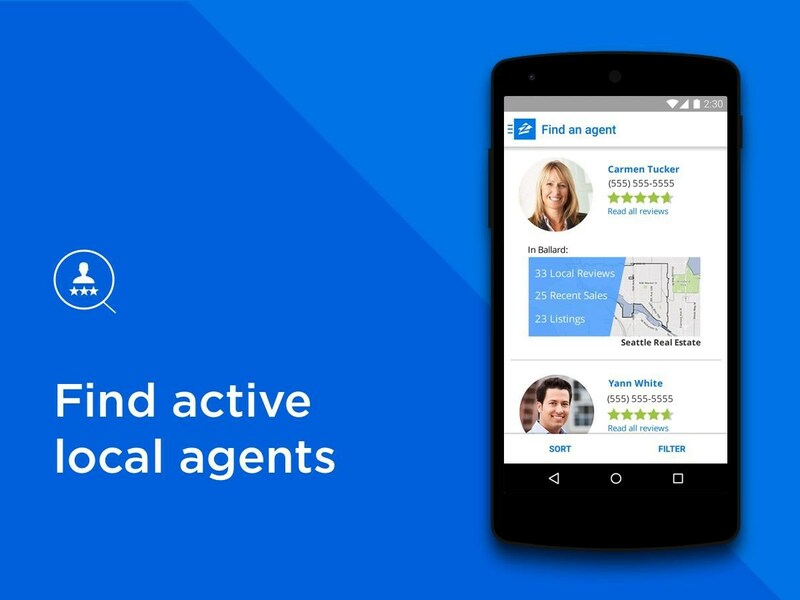 It’s best to filter results to exactly what you’re looking for early on so that you can quickly find what you need rather than staring at hundreds of irrelevant dots. 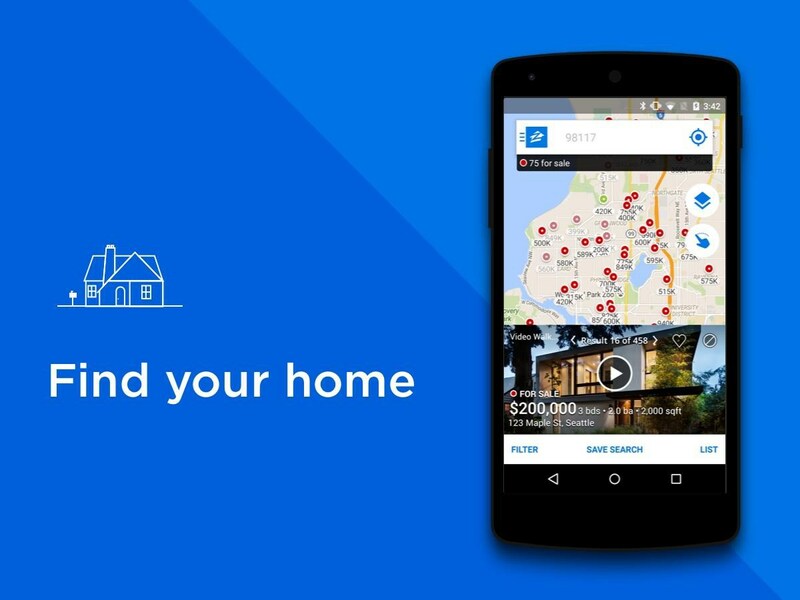 Each home will pop up on the map as a dot and the further you zoom in, the more info about the house will display about the home. 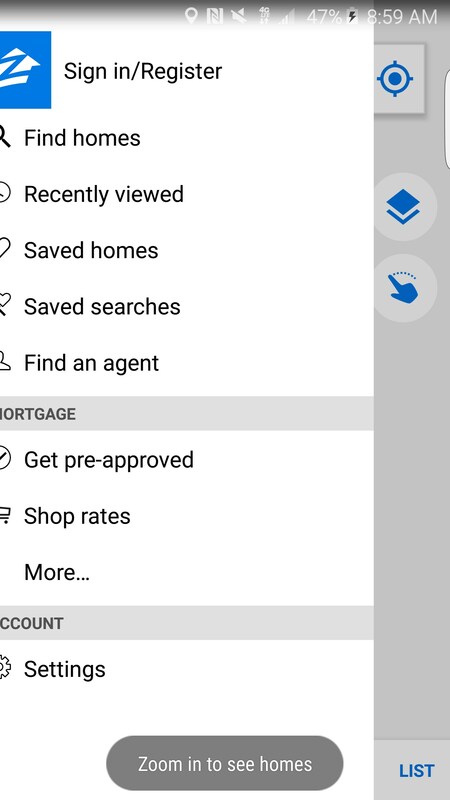 Clicking on the home will bring up the home’s profile. 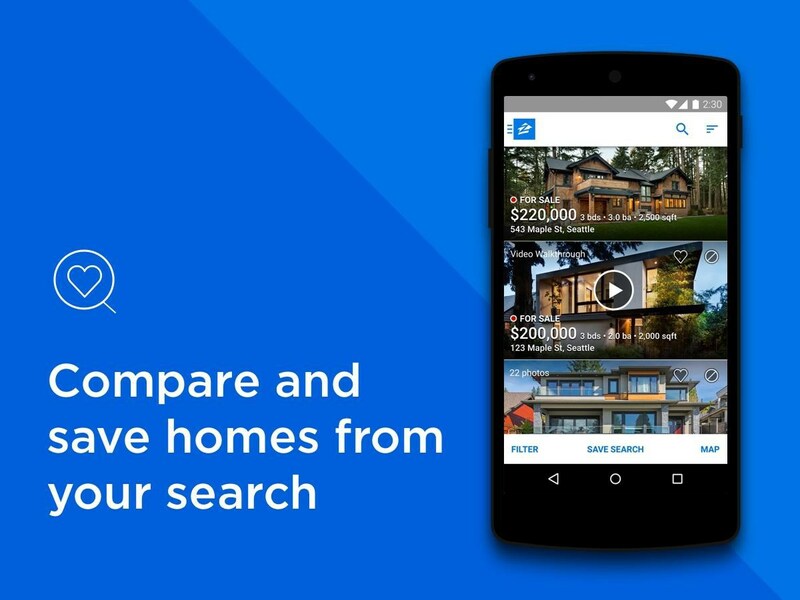 You’ll be able to see how much it’s going for, the specs, scroll through pics, and take a look at just about anything else you might want to check out. 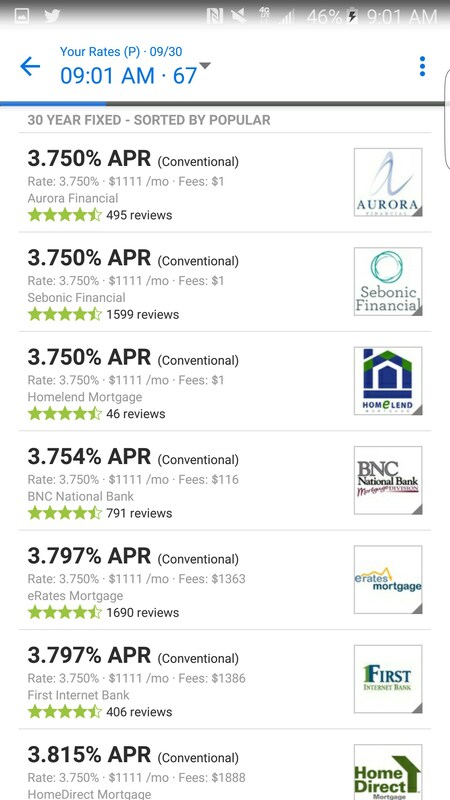 You can also get quick quotes for mortgage rates, which is a newer feature that I hadn’t seen before. 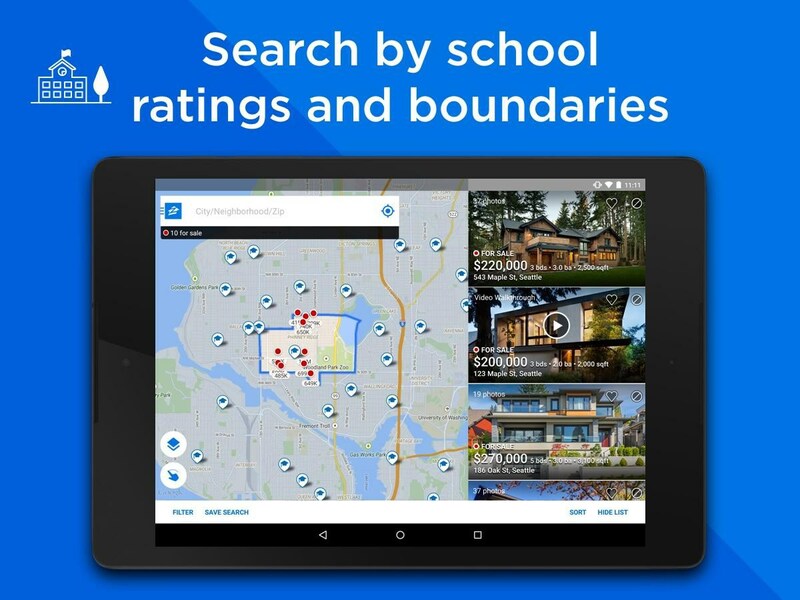 Overall, Zillow Real Estate & Rentals is up to par with what you’d expect from the full fledged website. 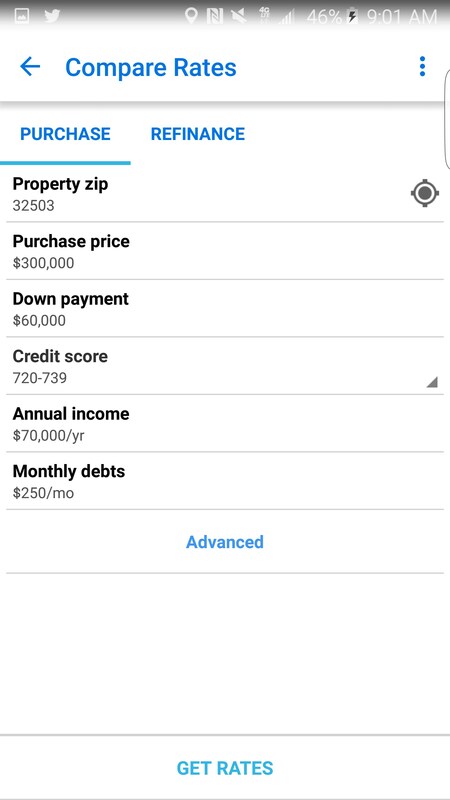 There really weren’t any missing features, so using the mobile app is perfect if you’re on the go.